Great rancher for first time home buyer or buyer looking to downsize. 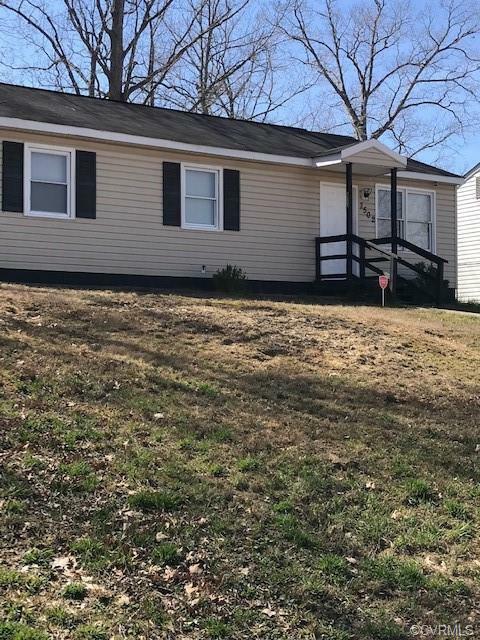 Wood laminate flooring through out this cute home with an eat in kitchen, bath and a half, laundry room, and nice size family room...easy access to I-95 and benefits of Hopewell life and easy drive into the city of Richmond. Directions: I-95 South, Exit Va-10 E To Hopewell, Turn Right On 6th Ave., Turn Right On Winston Church Hill Dr., Turn Left On Arlington, Turn Left On Dublin St. And Turn Right On Luther Blvd. And The Property Is On The Right.